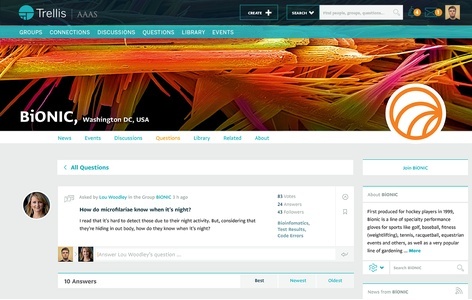 The American Association for the Advancement of Science (AAAS) created an online networking platform to connect the scientific community. 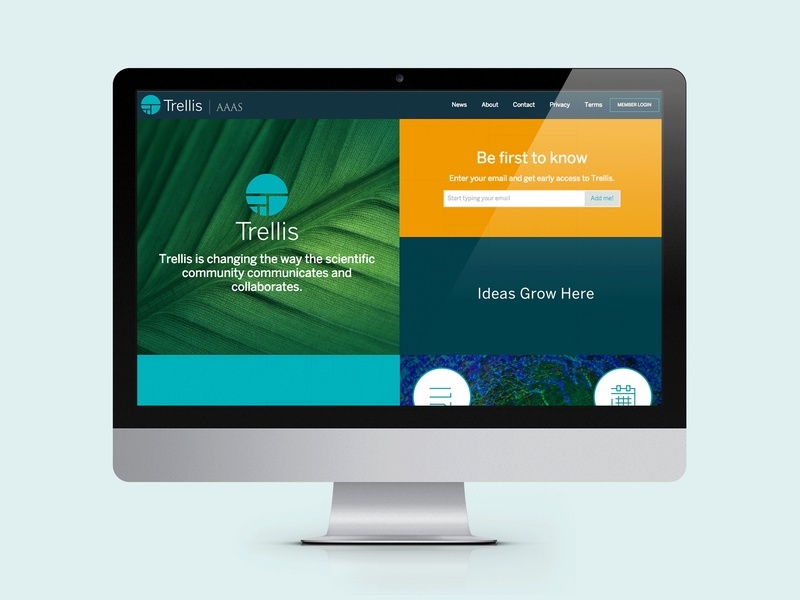 This online space is meant to foster professional outreach, collaboration on projects, and facilitate discussion and conversation in the community. The network allocates for a robust professional profile, ability to connect with others and message them in real time, a newsfeed to keep abreast with connections activities and updates, and attend events. Groups can be created, and take into account the hierarchal parent/children relationship of scientific associations within the network. 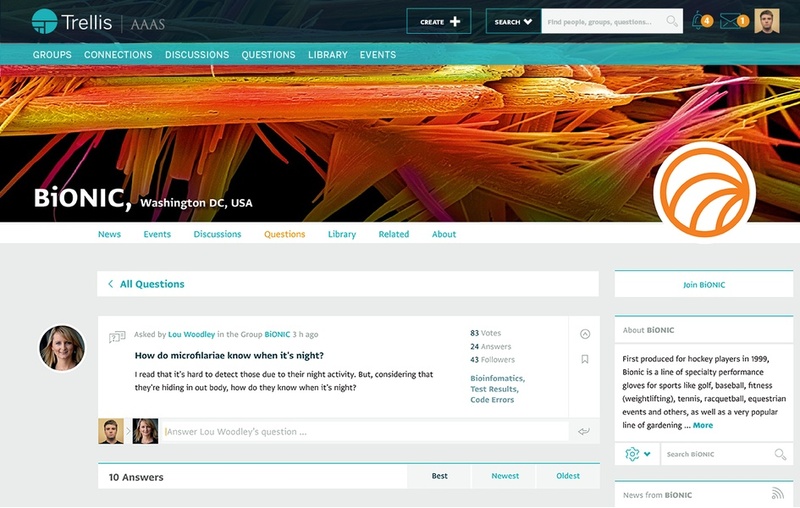 Users can post questions and discussions, respond to each of those, and upvote favorite responses. Academic papers can be created, annotated, cited, collaborated on by multiple people and finally published all through the platform. The look and feel of Trellis is professional, while remaining light and welcoming. 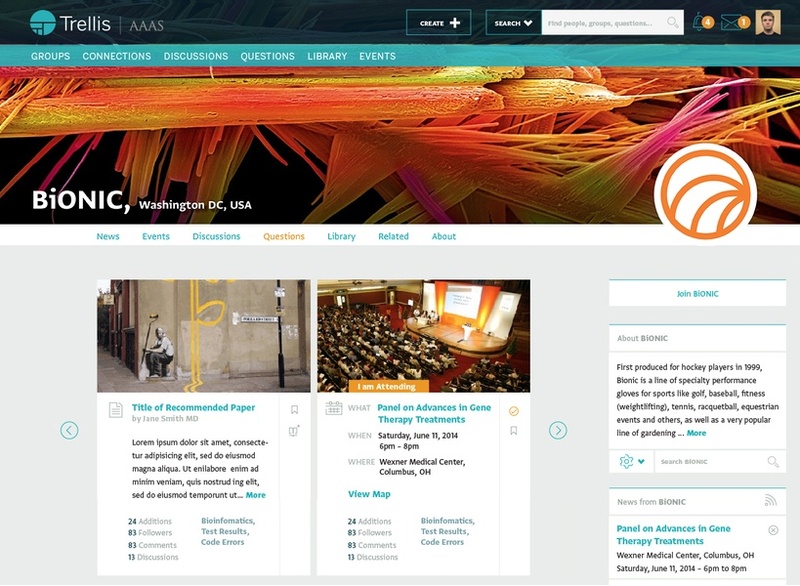 It is inspired by rich scientific imagery that encompasses all disciplines of science and promotes interdisciplinary discussion and collaboration.